The one thing that every woman can’t live without is the “little black dress”, it’s effortlessly chic and eternally classic. As in apparel and fashion accessories, the use of the color black on the table is timeless and elegant. This classic hue is embraced for its wonderful and endless versatility, which, depending on how you use it can make a table feel traditional or edgy, serious or sassy. 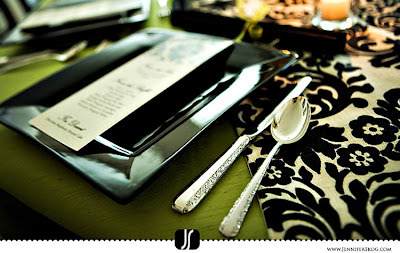 Look at how black was used to dress the table for Jennifer Skog’s bridal shower. When I saw it posted on Hostess with the Mostess I was in awe. Simply stunning! 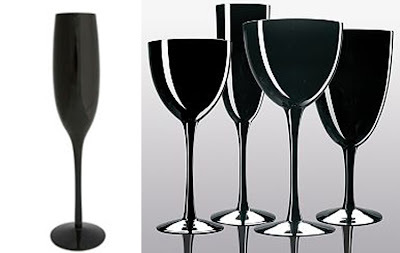 Black is very much in fashion in almost every item for your table and the piece that I love most is black stemware. Why Black? 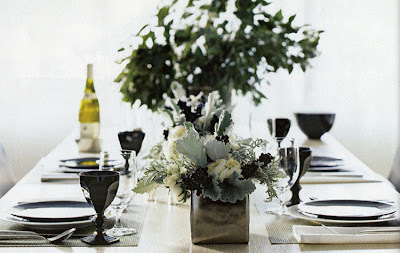 Because mixing black with almost any other color can easily change the mood of your table. 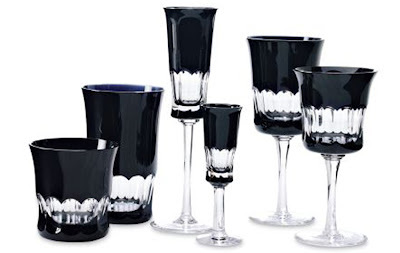 In the table above, black West Elm china is mixed with black Baccarat goblets by Philippe Starck for a sleek, modern tablesetting. The graphic benefit of black, especially when teamed with white, has already been discussed. But, much like dressing up, black can bring out the best in other colors, too. 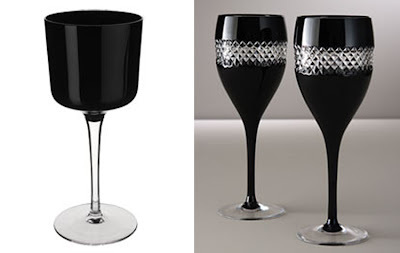 Try accessorizing you table with black glasses. (above: Clear striped crystal Double Old Fashion, Highball, $40-$42, Barney's New York). 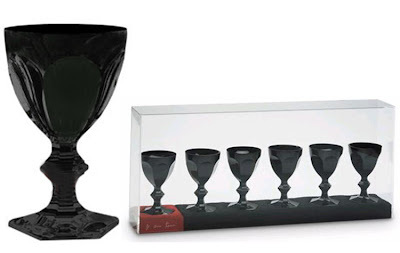 (l to r: Black Goblet, $14.95, Villeroy and Boch; Waterford Crystal red wine glasses by John Rocha, s/2, $160, Neiman Marcus). 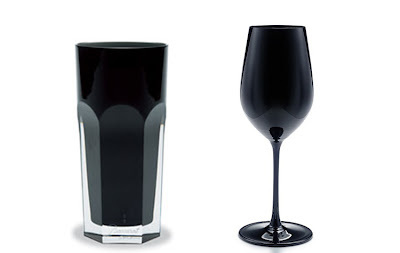 (l to r: Baccarat Black Angel tall glass, designed by Philippe Starck, $510.00, Neiman Marcus; Black crystal wine glass, $60, Tiffany's). 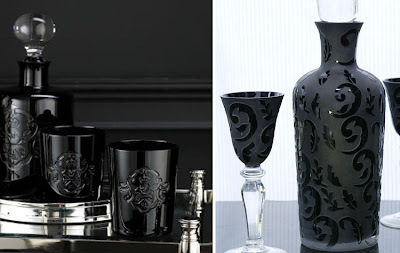 (l to r: Skull and Cross bone DOF set, $ 295.00, Ralph Lauren Home; Talousse Glassware s/4, $27.80, Z Gallerie). 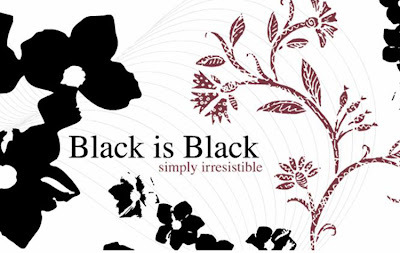 Most people think of black as too powerful, too depressing or too strong and not a color you would enjoy living with. Black is a wonderful color if people use it correctly as the background accents because it gives the colors on your table the strongest contrast. The bridal shower for Jennifer Skog was amazing! 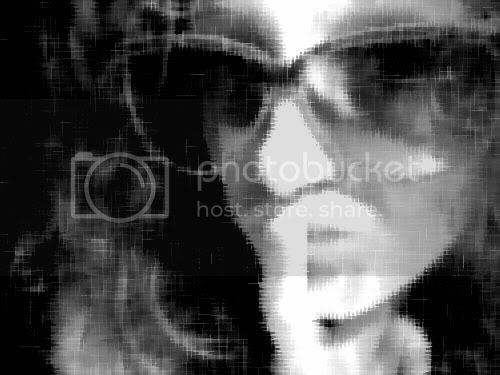 Your picks are perfect with that them.! I love the Villeroy and Boch. People just dont appreciate black enough for the table! glad you brought this to light....i have every single Domino issue since the beginning too! Vane, my kindred spirit, thanks for stopping by Toast and Tables! Guard your Martha Stewart Wedding magazines, those are a precious commodity! I am LOVING the William Sonoma glasses. AND they seem not too out of reach for the old budget. Great post! 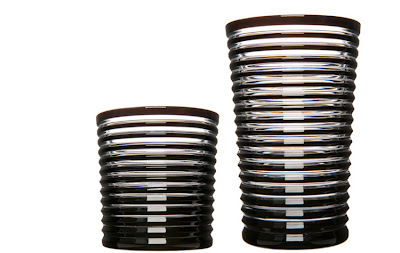 These are all beautiful black cups.